OpenGov interviews Mr. Tim Occleshaw, Government Chief Technology Officer, Department of Internal Affairs (DIA), New Zealand (NZ) to learn about developments in public ICT transformation in the country and future plans. Mr. Occleshaw tells us about pan-government software framework agreements with major suppliers (which is on track to deliver a target of $100m of sustainable annual savings this year) and collaborative implementation of the Government ICT Strategy. He talks about initiatives such as RealMe, which can be used in both the public and private sectors to verify identity at a customer’s request and SmartStart which provides integrated digital service across multiple agencies for new and expectant parents. Can you tell us about your role as Government Chief Technology Officer and Deputy Chief Executive Service and System Transformation? I’m responsible for leading the development and implementation of the Government ICT Strategy, implementing system-wide ICT Assurance, and developing and transforming how government accesses ICT capability. 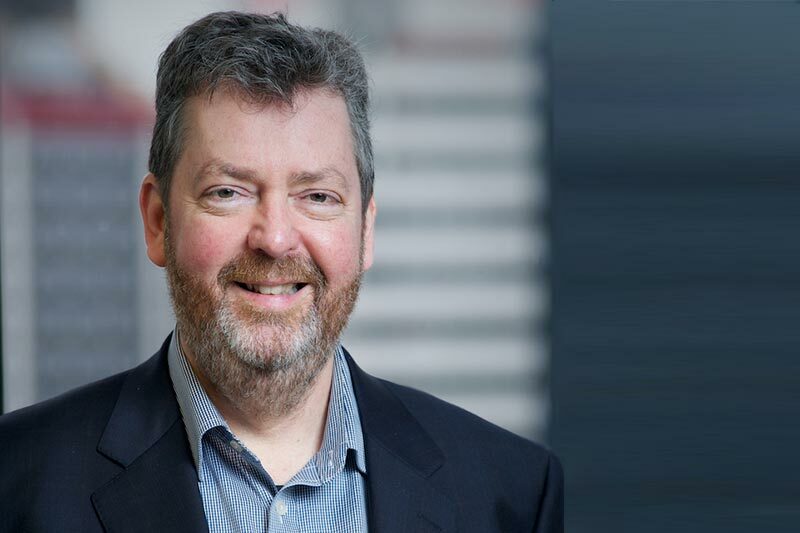 In my role as the Government Chief Technology Officer (GCTO), I provide key support, capability and implementation functions to the Government Chief Information Officer, Colin MacDonald. As the Deputy Chief Executive, Service and System Transformation at the Department of Internal Affairs, I lead a branch that plays a critical role in managing government-wide digital transformation. What is the current status of implementation of the government ICT strategy? How is implementation tracked and success evaluated? We have achieved notable successes to date in transforming ICT across the New Zealand public sector. More than 170 state sector organisations are consuming and are now benefiting from the all of government focussed capabilities we’ve established in the market. Around 2/3 of these agencies are not covered by GCIO mandate; they are using them because they are attractive. The move to these capabilities has improved resilience, as we saw after a major earthquake late last year. We have pan-government software framework agreements with major suppliers – Microsoft, Oracle and HPE, with more in current negotiation. Establishing government as a single customer entitles eligible agencies to substantial discounts and benefits, delivers significant efficiencies in terms of procurement, and allows agencies to extract greater value out of their existing licences. They are also attractive for the suppliers as they reduce their sales cycle and allow greater focus on the value of their services rather than a continual procurement process across up to 400 organisations of government. All of these are delivering significant savings and cost avoidance to government. We’re on track to deliver our target of $100m of sustainable annual savings this year. Perhaps more significantly, it is transforming how government is consuming ICT which is the critical catalyst for digital transformation. These market interventions have been performed using a co-design approach involving multiple agencies of government in the establishing, steering and then supporting the required outcomes. We also have an integrated programme of work that supports delivery of our strategy, which we monitor and report on progress to Cabinet every six months. This integrated programme includes investments in information, digital services and technology. What will be the high priority areas for the next 2-3 years? Can you tell us about ongoing or planned initiatives and projects? We are developing a vision for the future and what government might look like in 2027. This is more than just a replacement for the ICT Strategy. Our GCIO has also been asked to lead Digital Services Transformation across Government, as part of a wider state sector reform initiative. Our role – leading digital government – needs not only to change the way the public service delivers transactional services, but it sits at the intersection of growing a digital society and powering up our digital economy. What steps are being taken with regards to open data and for enhancing citizen engagement and participation? The New Zealand government’s move towards open data is led by the Open Government and Data Programme, DIA and Statistics NZ. New Zealand is a founding member of the Digital 5 (D5) group of advanced digital nations which includes UK, Estonia, Israel and South Korea. Open government is one of our D5 commitments. We’re currently working on improving open data access and principles, and tracking progress and outcomes of government open data release. The private sector appears to be playing an increasingly bigger role in public sector transformation. What is the involvement of the private sector in New Zealand in public sector innovation and delivering services? We have the view that government does not have to do or even integrate everything. There is a key role for the private sector in innovation and delivery. There are nearly 29,000 tech sector firms which contribute $16.2 billion to the New Zealand economy, around eight percent of our GDP. ICT is New Zealand’s fastest growing sector, with the top 200 tech firms generating around $6.5 billion in offshore revenue. The recently established Digital Economy Work Programme, developed by the Ministry of Business Innovation and Employment in collaboration with tech sector groups, ensures agencies are collectively focusing on the right initiatives, in the right areas, to support the growth of New Zealand’s digital sector and uptake and smart use of ICT across the economy. One of our key roles is to understand agency needs and connect these with supplier capabilities. Our approach has been to establish government as one customer. We’ve worked with the private sector to build and offer shared capabilities for agencies to consume, expose market innovation and make it easy for agencies to change the way they manage their ICT so they can focus on their core business. We have three channels to market: the shared capabilities, Software Framework Agreements and marketplaces. Each is focused on making it easy for the market to address government needs through open and transparent engagement and a transformed procurement process. Making it easy for the market to engage with government, especially smaller organisations, is critical to access innovation and provide choice. Can you tell us about working with agencies and departments across government, inter-agency collaboration and data sharing? Do you face challenges from conflicting priorities or policies? Our mantra is: centrally led, collaboratively delivered. We’ve established a Partnership Framework made up of nearly 60 senior leaders from 21 agencies across government to lead the implementation of the Government ICT Strategy. Working across agency boundaries is challenging because we all still have our vertical accountabilities. However, collaboration is the key and this approach has delivered our first cross-agency integrated service based on a life event – SmartStart. SmartStart provides support and information for expectant parents in one place – they no longer have to go to multiple agencies. What measures have been taken to ensure security and privacy while conducting digital transactions with government? We read about the RealMe service which can be used with both government and private businesses. What are the plans for it going forward? Establishing a Government Chief Privacy Officer who reports to the GCIO is one of our key steps to maintain and ensure privacy and security. The GCPO sets the vision for privacy across government and develops standards, issues guidance and provides assurance to support the public service in building capability in privacy and security management. The GCPO engages with the Office of the Privacy Commissioner and citizens. Early-on we recognised that digital identity is fundamental for digital services and invested in RealMe, which can be used in both the public and private sectors to verify identity at a customer’s request. New Zealanders are now using RealMe to access 90 services. We continue to work with agencies and use their feedback to improve the service. What is being done for developing or attracting and retaining the right kind of talent and building leadership? One of the workstreams in the Digital Economy Work Programme is ensuring New Zealand has the digital skills it needs to grow. This includes investing in ICT graduate schools to build connections between tertiary education providers and high-tech firms, connecting with industry associations to collectively address challenges in attracting, retaining and making best use of domestic and international talent, and reviewing the positioning and content of digital technologies in the NZ curriculum. We have worked with international experts to hold digital masterclasses for chief executives and senior leaders. We (DIA) have also co-created and piloted an ICT and digital graduate programme together with six other agencies. This year we welcomed our first 15 graduates, who will gain experience across several agencies over the next two years to develop their skills in digital, data and technology. What would you say have been the biggest challenges you have faced till now in the digital transformation process? How can those be overcome? Steering from siloes to a coherent government ecosystem is a very different way of working, and it’s hard. In New Zealand our whole system owns – and steers – the process which leads to the success of the entire government system. It is less directive and encourages agencies to see the benefits. And those benefits are theirs, not ours. But we are now seeing results like SmartStart, which had 65,000 visits in its first few months and excellent feedback from users. We’ve published the learnings so they can be used for the other life event initiatives currently in the pipeline. We will need to continue to foster and drive collaboration and co-creation and identify and tackle roadblocks, but we’re well placed to do it.